It will be awesome the derbi between Dinamo and Hadjuk since BBB will comeback to the stands after the Mamic PIG went to Jail. Tell us about your experience when you return! After several months, Pavo (a Torcida Split member) seriously injured due to a car accident leaves the hospital. No Benfica, não se festejam empates! Arrived in Split today. The apartment owner was one of 200 that went to Turim to watch the semifinal against juventus. Faleceu hoje o mítico Zan Ojdanic, icónico membro da Torcida Split que liderou o grupo durante vários anos. “Great people live through their great works. Žan Ojdanić was a great man. One of the initiators of Hajduk fans fighting for justice and fairness, for a better world. Icon of The North Stand and a dear friend. Emptiness is what remains, just pain and lack of words to express our grief. Part of us is torn out forever to be connected again somewhere else, in time. Separated, but never lost. Žan proved to us that it is possible to live for the ideas, and those ideas will remain written in eternity with him. They will live in us. And Žan will follow us from above, together with Pavo. We thank destiny for allowing us to walk together. 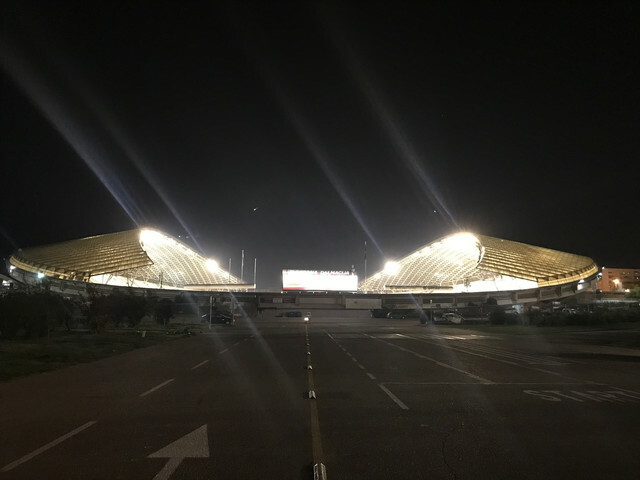 His friends gathered tonight on The North stand of Poljud stadium honoring him, and Hajduk team will wear a black ribbon on their sleeves during tomorrow’s match against Split. October 21st I'll be there supporting Hajduk against Dinamo! When the teams came to the field yesterday!